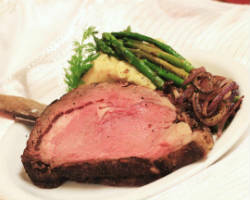 Classique Catering has been the choice of countless couples for catering in Sacramento, CA. why have they been the popular option for serving weddings? They strive to provide the very best service for each and every event they are hired for. This does not only mean they will provide you and your guests with an unforgettable meal, but they will serve hot, fresh food of restaurant quality. There is a sample menu available for couples to peruse for both a seated and served dinner and a buffet option. Is there anything more warming than a meal cooked at home by your mom? We don’t think so, and this is one of the reasons Two Moms Catering has become a highly sought after catering option for any party or event. This team works together to create meals that bring a taste of home. Not only do they serve full menus for dinner, but they are available to make wedding cakes. If this doesn’t sell you on this service, they also have a full range of vegetarian, vegan and gluten free dishes. 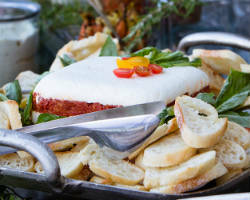 Finding a caterer who specializes in fresh menu ideas can be difficult when there are so many that stick to the traditional Italian catering menus they have had for years. 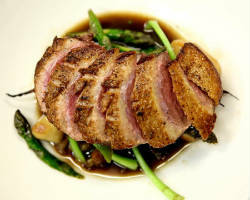 Magpie offers unique menus that are filled with new ideas that always include local and fresh ingredients. Though many of their items appear to be quite simple, the flavor and the small touches this store adds, make the dishes incredible. For affordable catering that you and your guests will remember for years to come, this caterer is the best. It is clear from their menu and previous dishes that Evan’s Kitchen and Catering is one of the top caterers in the business. The goal of this catering service is to provide clients with hot and fresh meals that they will remember but also a complete dining experience. The staff is professional and friendly. 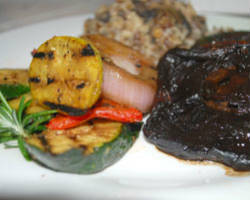 Their service and the food will certainly bring your event to the next level. Whether you want your favorite crawfish BBQ dish or would like the chef to use his creativity and make something unique. 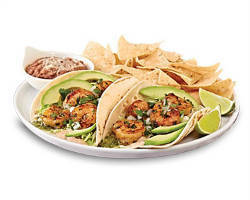 Rubio’s offers the very best and most authentic Mexican food out there. They bring their traditional dishes to life in the restaurant and at the events they are hired to cater. If you love everything about Mexican Food, then why not serve it on your big day. You can have a taco bar set up for a larger group or have individual servings ready for a small party. 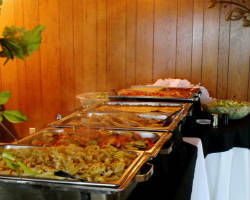 If you need a caterer in a hurry, they complete orders within 24 hours or can offer on-site catering for large parties. Fresh & Quick Catering is known for serving the freshest ingredients, as is in the name, while also providing friendly and comprehensive services. They can serve something light, like fruit and vegetable trays with yummy dipping sauces, to a full-blown BBQ. Whatever you need, they are there to make your day go smoothly. In order to do this, they meet with each of their clients and make sure their role in the event is completely understood and taken care of. Tony’s Delicatessen & Catering offers everything you would want for a light corporate lunch or small reception meal. This wedding catering company in Sacramento has menus for every meal and even light snack options. They have many continental breakfast menus that would be perfect for the morning of your big day. Then they have box lunches that are often chosen for offices. 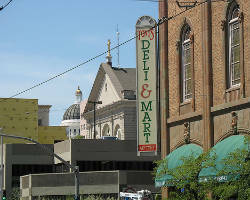 The deli buffet has assorted sandwiches, meats, cheese, veggies and fruits, with special sides and desserts to accompany. 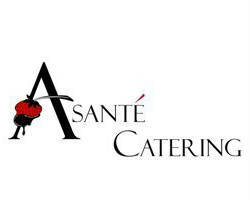 Many catering companies have years of experience, but what sets Asante Catering apart from the others? They are renowned in the Sacramento area for providing innovative menus and culinary creations at every event they serve from elegant wedding receptions to large corporate functions. Though this catering service does not come cheap, they provide more than just delicious food, but allow you the opportunity to enjoy your own event. They will take care of things behind the scenes, making sure everyone has a seat and the food is served hot and on time.